...the cost of promoting movies, the advertising and promotion of a movie, the budget is almost as large as the cost of the movie. And these huge blockbusters that you see have tens and hundreds of millions of pounds and dollars spent promoting them. And if you don't have something which they believe will reach an enormous audience, then they won't go for it. As expected, Variety has posted a couple of nice tributes to Sir Richard Attenborough, an important British film industry figure. But for those Americans who only know him as POW leader Roger Bartlett in The Great Escape, kind old industrialist John Hammond of the Jurassic Park films, or the director of 1982's Gandhi, let me offer a couple of suggestions that might enlarge your appreciation of the actor-director. First, check out 1963's All Night Long. Basil Dearden's jazz club take on Othello is an unsung classic that features a stellar central performance by Patrick McGoohan as drummer Johnnie Cousin, the scheming Iago of the piece who tries to sink the rising star power of rival and "best friend" Aurelius Rex (Paul Harris). 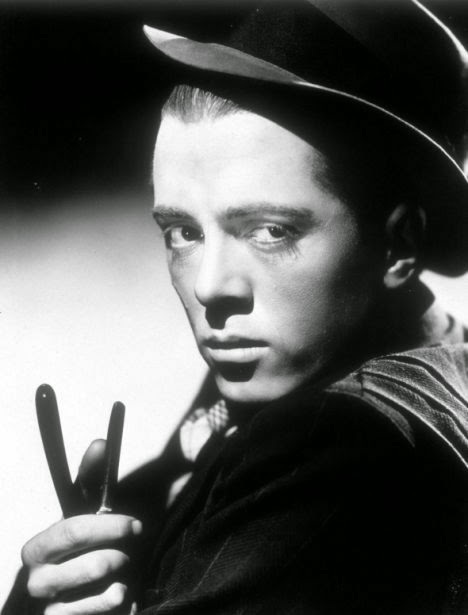 Attenborough plays Rod Hamilton, the financier hepcat throwing a party for Rex who Johnnie is trying to impress to get backing for his own endeavors. It's not a big part, but for Attenborough, who usually played twitchy fellows, it's a remarkably low-key one that grounds the entire picture. Attenborough mixes it up with a number of jazz notables of the time; Charles Mingus and Dave Brubeck are among those making rare onscreen cameos. And it serves as a nice counterbalance to McGoohan's own typically eccentric, high-strung performance. For a really disturbing performance of the twitchy kind normally associated with Attenborough try Richard Fleischer's 10 Rillington Place. Attenborough plays real-life serial killer John Christie, the mild-mannered neighbor to John Hurt's Timothy Evans. The not too bright Evans ends up hanging for murdering his pregnant wife and their daughter. Later police discover that the movie's titular address, the apartment building in which both men lived, is full to the brim with corpses stuffed into the walls, under the floorboards, and buried in the garden... all Christie's victims. It'd be years before Evans was pardoned posthumously. But Attenborough's nuanced interpretation of Christie, with his apparently gentle demeanor but inward chilliness, helped cement Britain's resolve to ultimately abolish their death penalty after the fiasco that led to an innocent man being hung in Christie's place. Finally, consider watching Shadowlands, a gentle romance about C.S. Lewis's late romance with poet Joy Davidman, starring Anthony Hopkins and Debra Winger. With Davidman becoming terminally ill, the movie is rife with potential for soapy melodramatics. But Attenborough directs with a great deal of sensitivity that never crosses the line into treacle. It's a surprisingly small-scale emotional film from a director more commonly associated with epics that play out on larger canvasses. Attenborough died Sunday at the age of 90.